Dreams about lice are usually a sign that something is bothering you or it seems that someone has “sucked” your energy and taken advantage of you. It’s a clue that something or someone is deceiving you. If you dreamed about head lice, know that this is not a good omen. To dream that you are killing lice is a sign of success and symbolizes that what you have been working on or planning will bear fruit. It also means that you will calmly pass through the problems that plague you. Dreams about lice at home indicate prosperity; when it’s in the home of others, it indicates that you will probably expand your business. If you do not have a business, it may be an indication that a large amount of money is forthcoming. Having these insects on your head is not a good omen. Dreaming of head lice, either on your own or someone else’s, usually indicates disappointments. Disappointments that may relate to both the loss of an important business and the end of a relationship. 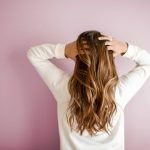 Dreams about lice on the head are a strong indication that you are going through a heavy emotional period, that a person or situation in your life has been bothering you. If you have dreamed of lice, therefore, start checking in which situations you feel uncomfortable and which are the people that are bringing you this load of negative feelings. Learn to deal with these people and situations and get rid of them as quickly as possible. People and negative situations only tend to leave us with frustrations, guilt, bitterness, and anguish. See what happens, therefore, in your real life. The lice are just messengers of your subconscious: if something is disturbing your life, it’s time to take serious actions. Dreaming that you are looking for lice means you are yearning to stand financially and live happily for the rest of your life. The mere impulse to find happiness will make the energies of the universe conspire in your favor. Stay calm and practice stretching, meditation and breathing exercises. It is also important, you devote yourself to keeping your physical posture firm through asana, thus, you will keep the energy flowing in your auric field without blockage. Seeing large lice during a dream reveals exaggerations when there are problems. Maybe you’re living in a phase that bothers you a lot, and you do not see the time to solve these problems. However, the dream shows that the concern is much greater than the problems themselves. In that case, you must take care of your endeavors and plans until everything begins to adjust naturally. So thinking about problems and nurturing them with negativity will not help you at all. Do your work while having good thoughts and soon everything will work out.